He is most likely to make his debut at Lord's in the second Test against India. England selectors dropped Dawid Malan for his poor performance in Edgbaston Test and included a 20-year-old Ollie Pope in the side. The youngster is set to make his debut at Lord’s and might well bat at number 4 for his team. But he has the experience of only 15 first-class matches which has brought his selection so early under the scanner. However, Pope himself is not concerned about all those facts and wants to draw inspiration from Sachin Tendulkar who burst into the highest level only at the age of 16. Pope was drafted into the squad at the expense of Malan who failed to impress with the bat and went on to drop the costliest catch of the game while fielding in the slips. 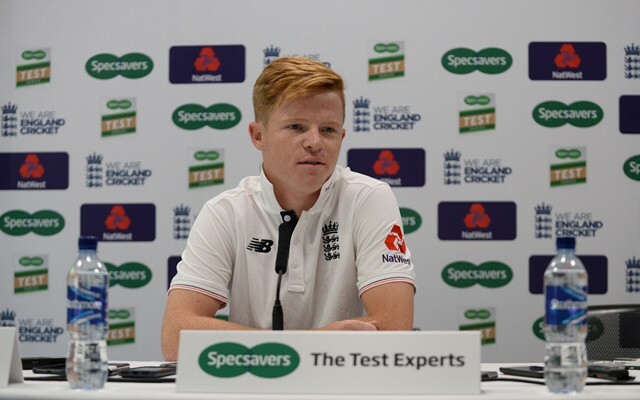 With Ben Stokes also missing the second Test, England have no option but to hand a debut to the youngster at a crucial number 4 position after playing at 6 for Surrey. Ollie Pope is going through a purple patch with the bat and has scored 684 runs in the County Championship this season at an exceptional average of 85.50. He was also praised by Sachin Tendulkar who felt that if a cricketer is good enough to play at the highest level then he should be given an opportunity. Pope also echoed similar sentiments and was excited to wear England shirt. “Everyone always says – if you’re good enough, you’re old enough. It’s nice hearing those stories. Just knowing I’m not one of the first ones to play when I’m young or after not a huge amount of games. Hearing those stories are pretty inspiration – they make you realize what you can do,” he was quoted as saying by Cricbuzz. Pope reflected on Tendulkar’s debut at the age of 16 and also compared himself to Sam Curran,20, who won the Man of the Match award in Edgbaston. “I think I’m probably similar to him – just ready to put the shirt on and just want to perform at my best. We’ve both played a fair bit of county cricket now and things have gone on an upward spiral. But yeah, completely – looking back on people like him (Sachin Tendulkar), what was he, 16, 17? He’s quite a good person to listen to in terms of that. I think it’s the fearlessness. Hopefully, we can play and express ourselves the way we want to,” Pope added.